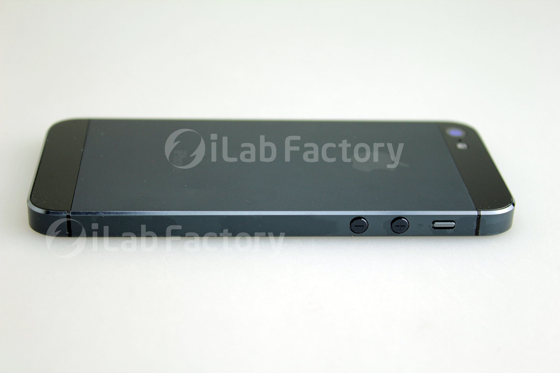 Japanese website iLab has posted a set of high-resolution photos (via CydiaBlog) of what is alleged to be the next-generation iPhone. The leaked parts shows the bigger screen, different internals (such as a new flex cable holding the Home button in place), and the camera modules (front and rear). The camera module cutout looks to be larger, there is an enhanced version of speaker and microphone configuration at the bottom, new smaller dock connector (instead of 30-pin Dock Connector, 16-pin connector could be introduced). Another notable design change in the new iPhone front panel shows the FaceTime camera has been moved to a centered position above the earpiece speaker (it is currently to left of the earpiece in iPhone 4S and iPhone 4). The photographs mirror reports from this past May that the next iPhone would sport a taller 4" screen, but would remain the same width. 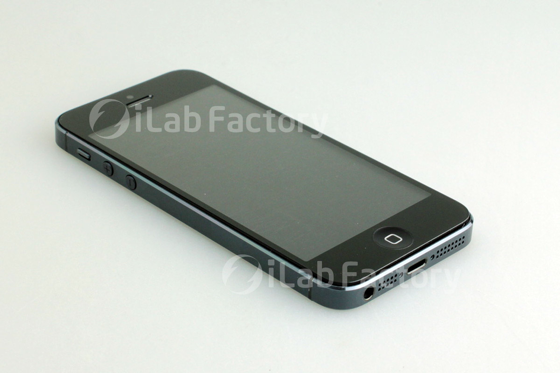 The next iPhone is expected to be released this fall along with iOS 6. I really sincerely hope this isn't it. And I don't mean it in the same way that was said when the iPhone 4 design first leaked. That was beautiful. This? Who the heck wants a taller phone? I want a bigger screen, but I don't want JUST a taller screen. Such an odd design, why does it need the giant bezels still? Why even bother making glass sections on the back that small? Terrible. Jony still on vacation ? Call me a conservative old fart, but there are 3 thinks I really don't like about it. But the overall design is very nice. Does anyone remember when the iPhone 4 was leaked and many many many people on here said how hideous it was, only to call it one of the best industrial designs of the 21st century months later when it was released? Pfffft. So much for innovation at Apple. RIP Steve Jobs. I guess I must be the only one to think the speaker grills on the bottom are ugly? It sure looks nice but it doesn't jigger my flim flams like it should. A big device with a big screen makes a better phone. A big device with a big screen obviously makes a WORSE phone too. There is no question that both larger and small are good things, and that a balance must be chosen. A compromise. Making the device taller (yet thinner) at the same width is a great compromise to improve an already best-in-the-market display. It also works great for app developers, many of whom already have vertically-flexible apps due to the in-call notification banner iOS has always had. And by leaving the vertical size the same, no UI changes are needed for most toolbars. 1. It lets me see more lines of text, more lines of a list, more thumbnails, more distance down a web page... and these things are more important to me than seeing more text on each line. 3. Sideways, it’s now the perfect size for video: a bigger picture, with no wasted bars. 4. Older games/apps that don’t adapt will have just 2 small black bars alongside exactly the same great screen they always had—no visible or usability issues at all. That appeals to me a lot more than a) having black ALL the way around apps, or b) scaling apps up and making them blurry or c) having larger pixels. One of those would happen if the iPhone got wider. 5. Still just as easy to reach across with a thumb for one-handed typing and usage. I often use my phone one-handed, thumb-only, and that’s simply impossible on phones that went too wide.